It is expensive to refill with gas. It drives very smoothly and is the perfect size. Mine is a silver with black leather interior and it is very durable. There are no problems other than the breaks are extremely squeaky at times, but that can be fixed. It is very reliable considering we bought it used and it is still in great condition. Pricey to fill up. This is the best car I have owned. It is great in the highway, it had a big engine so you defined feel the difference from going from a small car to this SUV but the suspension, brakes, you cannot feel the change in gear at all.. Will never purchase another make/model. That it drives great. that it is smooth and fast. VOLVO IS RECALLING CERTAIN MODEL YEAR 2010 XC90 VEHICLES. A LEAK MAY DEVELOP IN THE FUEL LINE BETWEEN THE LINE AND A CONNECTOR. FUEL ODOR MAY BE DETECTED. A FUEL LEAK IN THE PRESENCE OF AN IGNITION SOURCE CAN LEAD TO A FIRE AT THE RIGHT FRONT WHEEL. DEALERS WILL INSPECT THE DATE CODE PRINTED ON THE FUEL LINE AND REPLACE THE FUEL PRESSURE LINE IF IT FALLS WITHIN THE RECALLED RANGE FREE OF CHARGE. THE RECALL IS EXPECTED TO BEGIN DURING MAY 2010. OWNERS MAY CONTACT VOLVO AT 1-800-458-1552. 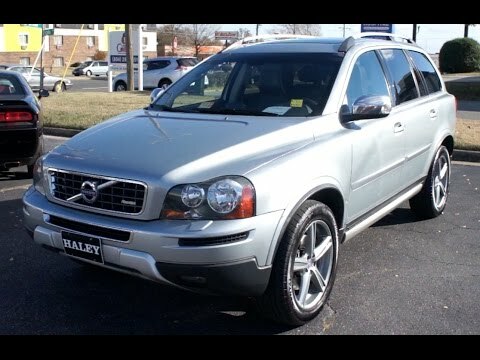 VOLVO IS RECALLING CERTAIN MODEL YEAR 2010-2011 XC90 VEHICLES MANUFACTURED FROM JANUARY 29, 2010, THROUGH AUGUST 16, 2010. THE POWER STEERING FLUID MAY LEAK FROM THE OIL PIPE CONNECTION AT THE STEERING GEAR VALVE HOUSING. THIS CONDITION COULD LEAD TO A SUDDEN LOSS OF POWER STEERING, INCREASING THE RISK OF A CRASH. DEALERS WILL REPLACE THE OIL PIPES ON THE POWER STEERING RACK FREE OF CHARGE. THE RECALL IS SCHEDULED TO BEGIN ON OR BEFORE MAY 31, 2011. OWNERS MAY CONTACT VOLVO AT 1-800-458-1552.